We specialize in fast, dependable, overnight and same day Passport Services. After years of being in business, and the experience gained by processing millions of travel documents, you are guaranteed to have your passports handled quickly, accurately and professionally. 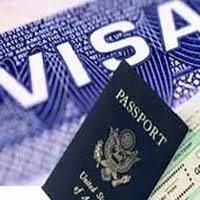 We are a well renowned name for the best Passport Services offered. We specialize in providing the cost effective Passport services. We ensure for the arrangement of your every budgets needs. When it comes to excellent quality Passport services then there are very few alternatives available to the services provided by us. The terms like unique and impressive appear out to be most appropriate if one starts looking for the words to describe the quality of service offered by us. Note : All the following documents should be submitted in original's along with the original copy of each document and one notary attested copy, duly signed by applicant. Ration Card : First and the last page of your current Ration card which shows the same address that would be written in your passport application as "present address". Please note that the ration card must be duly signed by the head of the family. ( The person whose name is first in the ration card ). The ration card should be more than 1 year old. If not some other proof of one year residence is required like M.S.E.B. Bills, Telephone Bills, Bank Pass Book, Election Card of Applicant's Name. If the applicant has not continuously stayed at the present address for the last one year then please produce present as well as previous address proof. Original School/College Leaving Certificate or Birth Certificate(Issued by Municipal Authority. Document mentioning Birth Date and Birth Place) If this is not available then original S.S.C passing certificate with nationality and Domicile Certificate. Degree Holders to provide Degree Certificate and final year mark list. Diploma Holders to provide Diploma Certificate and final year mark list with HSC Certificate. Married women to provide Marriage Certificate. If the first name is changed after marriage then please procure a Deed Poll Affidavit on Rs 100/- Stamp Paper. If the marriage certificate is not available then the Marriage Photographs and Joint Marriage Affidavit to be produced. In case of minors (Under 15 years) who wants to make a fresh passport, they have to submit the birth certificate along with parents passports. (Two sets of Xerox copies of the first three & last two pages of the parents' passport with valid visa page duly signed by them). The minors name should be on the ration card if not a covering letter from the parents is to be produced. A minor's affidavit has also to be submitted on Rs. 100/- Stamp paper. If one of the parents does not have a passport, the parent has to apply for the passport and then submit the receipt of the submission with the minor's submission. If any one of the parents is abroad then please produce Xerox copies of Parents passport and a minor child Affidavit attested by an Indian Embassy. Passport Holders whose date of passport has expired have to submit the Expired passport along with all the documents except proof of birth. Passport holders can apply for a fresh passport six (6) months before expiry of the passport. In case of lost passport, the documents required are as per the requirements for the fresh passport and First Information report (F.I.R) from the police station where the passport was lost along with a Lost Passport Affidavit. In case of miscellaneous services such as a) additional booklet b) Change of address c) PCC d) ECNR - Six passport size photographs required along with relevant documents. If you are working in any Semi Govt., Nationalized Bank, Govt. Assisted organization, School, College, University etc. then please get a No Objection Certificate from the head of the department/Institutions. The police inquiry is conducted by the local police after they receive due information from the Passport office and is at there discretion. You may visit at your local police station. For urgent passport cases, applicant have to meet the passport officer along with the file no (Receipt) issued by the passport officer and the decision on the urgency is at the discretion of the passport officer. The additional charges charged by the passport officer are between Rs.1000/- to Rs.2500/- Depending.